It takes the right kind of content, the right timing and the right people who first discover it to get that viral spark. Most would argue it just takes a whole lot of luck too. It’s not exactly easy to set off a viral campaign, particularly if you have little experience doing it, but it’s certainly not impossible either. 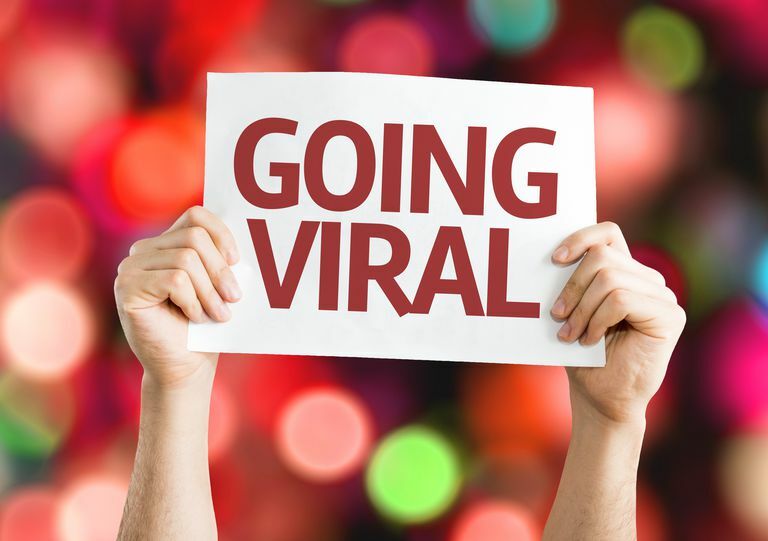 Here are ten tips you'll want to keep in mind when trying to get something to go viral. If something is current, you have a better chance of getting your content viewed because people are searching for it on Google, on Twitter and everywhere else. Asking yourself how you can incorporate today's newsworthy trends into your viral content is worthwhile. Keep an eye on the Google News section and check out Google Trends. News also breaks out first on Twitter and Facebook's trending section, so pay attention to trending topics there as well. See our article on How to Use Google Search Trends for a brief introduction to the tool and how you can get started with using it to hopefully harness some traffic. There are no rules on what format your content should be in order for it to go viral, but the more visual it is, the better. It shouldn't come as a surprise that videos do extraordinarily well on the internet and often get shared like crazy all over social media. If you upload a video to YouTube, Vimeo or even Facebook and get discovered by others who like what they see, they may do all the promotion for you by sharing it all over their own social networks. Keep in mind that people are typing in keywords and phrases to search for stuff — either in Google or in any platform's search field — so if you can get your content to come up in the results, then you've got a great chance of getting in front of the eyes of the right people. Make sure you have as many keywords as you can fit in the headline, description and throughout the text body if it has more written content. Platforms like YouTube, Tumblr, and Twitter also make use or tags or hashtags, which can also help you show up in search results. Content often goes viral because a big influencer (a.k.a. some kind of high-profile individual with a large online following) comes across it and shares it with their massive audience. Unfortunately, it’s not easy to get noticed by someone big and famous. You can bug them a lot by tweeting to them on Twitter and hoping for the best, but there are no guarantees they'll notice you. The wiser strategy would be to network intelligently with big influencers (not necessarily celebs, but people who have good reputations and large followings online) before you decide to ask for their help. Spend some time nurturing your relationship without asking them for anything first and you'll have a greater chance of them agreeing to help you out with your viral campaign when the time comes for you to ask them about it. Contests work great for spreading the word about something because people love to win — even if the reward is relatively small. If you can give away something of value, this can act as a bribe to get people to like your Facebook page, follow you on Twitter and even get them to tweet about the contest or post it on Facebook to pull even more people in. A lot of social media campaigns make good use of contests and giveaways to keep their current audience engaged and attract new people. People love to laugh and are more than happy to share something that’s ridiculously funny or entertaining at the least, so if you have a creative knack for comedy, you may be able to get quite a bit of attention and viral sharing just by being hilarious. If your stuff is funny enough, you could get featured on all sorts of sites and blogs — contributing to the viral traction you were hoping for. If you’re okay with going viral for something that's not exactly the most positive and you're aware of the possibility of being badly criticized, disliked or even hated a little by some people, you could decide to surprise your audience with something a little taboo or make a negative comment on a controversial issue. When strong emotion is sparked from viewing a piece of content, people naturally want to share it to see how their friends will react to it too. Good or bad, it can still go viral! The attention span of the average web surfer is getting shorter and shorter, so you have a better chance of catching the eyes of people with a bold photo or a great GIF rather than with a big block of text. Now, we have major platforms that are almost entirely dedicated to pushing around visual content—like Instagram, Tumblr and Pinterest. Facebook also makes photos look very large in the news feed now, so people are more likely to notice them. If you can get on the front page of Reddit, you could get thousands upon thousands of views. Other users will upvote or downvote your submitted piece of content, and the more upvotes it gets, the more it will be pushed to the front of the page. It’s tricky, however, and it's recommended that you take the time to get involved in the Reddit community first before just simply submitting links to your stuff for self-promotion. Reddit actually frowns a lot on submitting your own stuff, so you have to be careful here. Last but not least, you can’t expect anything to get picked up by a significant audience if it’s just rehashed content with a mediocre message. To go viral, you need to do something that’s never been done before. You have to get people excited and offer them something that can affect their feelings strongly enough that it makes them want to share your content with their social networks. In other words, you have to hit them right in the emotions. That’s what it takes if you want to go viral these days.